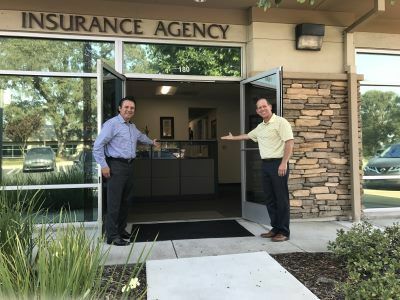 About Whitney Oaks Insurance Services Inc. in Roseville California - Whitney Oaks Insurance Services Inc.
About Whitney Oaks Insurance Services Inc.
Whitney Oaks Insurance is located in Roseville. Roseville is located approximately 90 miles west of Lake Tahoe and 90 miles east of San Francisco. We are more closely located near Sacramento. Our companies mission statement is to meet all of your insurance needs with the best products to be accompanied with the best service. We are aware anybody can sell you a policy. We understand the service needs associated with our policies. We have established a professional team that promotes a professional attitude to accomodate the smallest account to the largest account. Whitney Oaks Insurance Services started May 1st, 2006, The collective experience of the principles includes 40 years of industry knowledge. What this means for our clients is we offer you the best experience in the commercial and personal lines arena. We look at various markets and use our experitise to produce the most desirable results. You won't be disappointed. We want you to have a positive overall experience with Whitney Oaks Insurance Services Inc.. Our one on one service approach is our #1 goal for all our insurance clients. Give us a call at 916-415-1930 or contact us through one of our quote forms, and we'll be happy to answer any of your insurance questions. Personal Lines Insurance Agent for over 11 years.